For more than 50 years, Permatite formulations have changed and improved the performance of sealants, tapes and sponges. Unbeatable quality with no failures. A trusted resource that gets it right the first time. Global distribution from knowledgeable distributors. 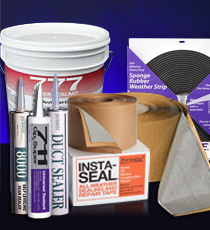 Permatite sealants, coatings, tapes and sponges are custom-formulated and engineered to excel in specific applications – with maximum performance and longer product life. For the future, our plans are to keep doing what we do best. That means a dynamic solution-based organization devoted to developing the best possible products for a changing industrial environment.